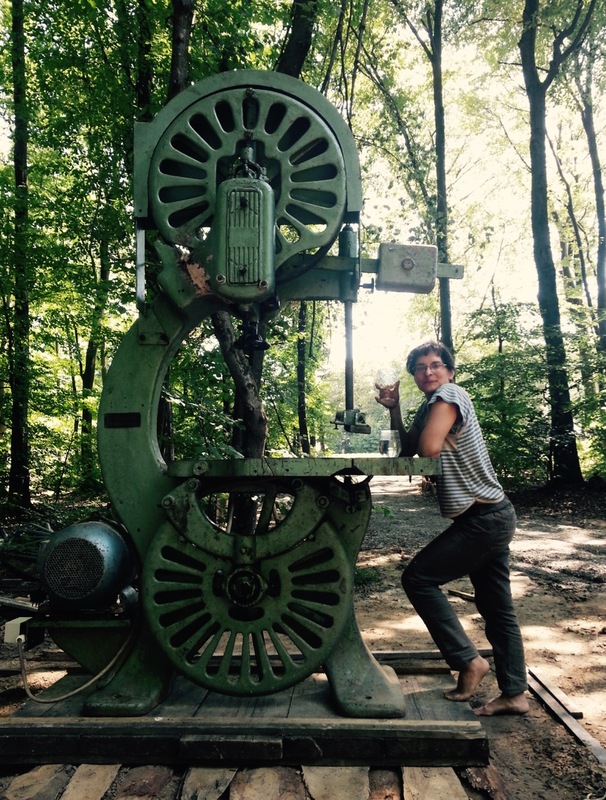 In Duende Didgeridoo workshop, we finally have a new tool, a new bandsaw! Here’s what we know about it! 1. It is old. Older than 60 years, but more than that we don’t know. 2. It is heavy. Probably a bit less than a ton. 3. It is so huge it won’t go inside the workshop for now. 4. It was relatively cheap. It is 7-8 times cheaper than a new one of that size. 5. The catch that it is so cheap is that it is kind of complicated in many ways. 6. We had to make many many phone calls to friends and repairmen of many sorts to get it into state that is closer to being fully operational. It is still not. 7. We really hope it will work great with big pieces of didgeridoos that need to have off-cuts done, because our small bandsaw had very difficult time even with small didgeridoos. 8. We don’t know if we would recommend buying old machines. Sometimes it is a good choice, and sometimes it makes more sense to save some more money and/or buy smaller new machine of good or great quality. 9. Sometimes you have to be crazy and not calculate every step!